It’s here!!! 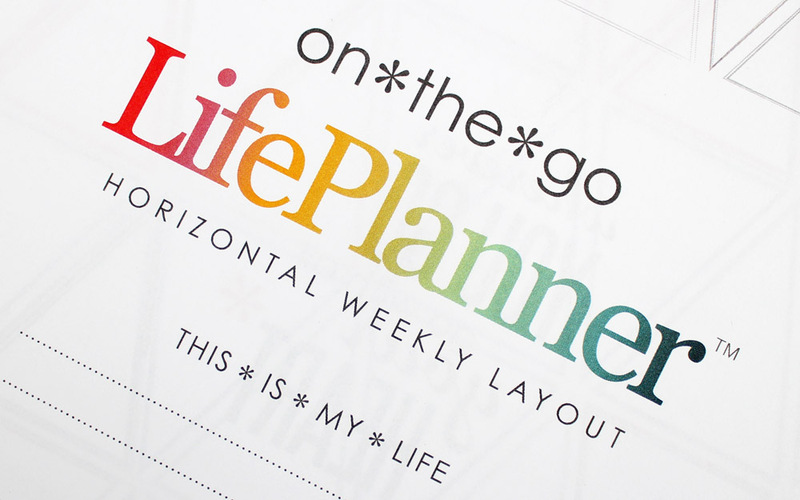 Two weeks ago I received my Erin Condren LifePlanner and I’ve been using it every single day. Today I wanted to share my experience with you but I have to warn you, this is going to be a long and picture heavy post because I have a lot to talk about! For a while I was looking for a good organizer. I have quite a lot of things that I need to write down, of course the usual appointments like everybody, but I also have a lot of medical stuff that I need to remember plus I wanted to make a good schedule for YouTube videos and blog posts and I needed some extra space to write down new ideas. 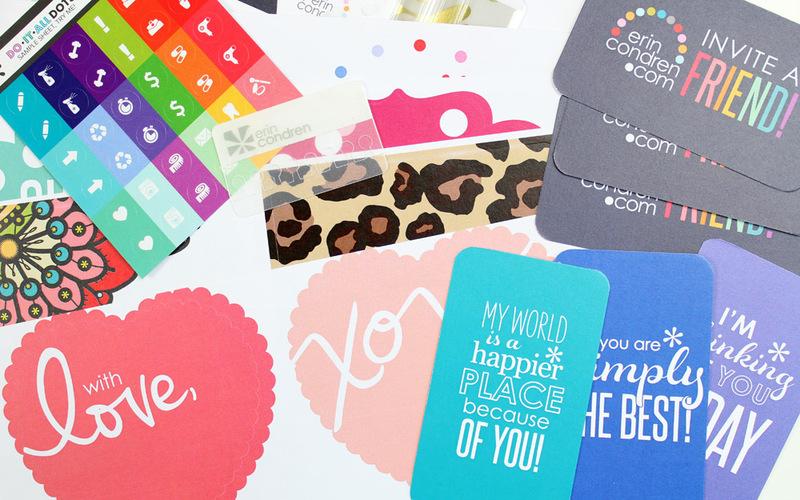 After browsing online and reading reviews I ended up on the website of Erin Condren and saw her amazing LifePlanner. 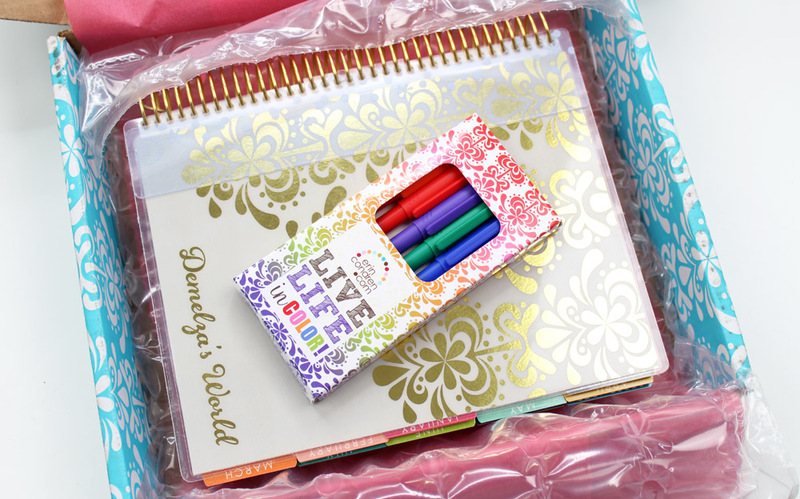 The LifePlanner is a big organizer but with many more options and you can personalize it in the way you like it! I thought it would be great to try this one and they were so kind to offer me a LifePlanner for a (of course completely honest) review. After placing my order it was time to wait till the package would arrive and I didn’t have to wait long, three days after receiving the shipping mail it was already here, wow talking about fast shipping! 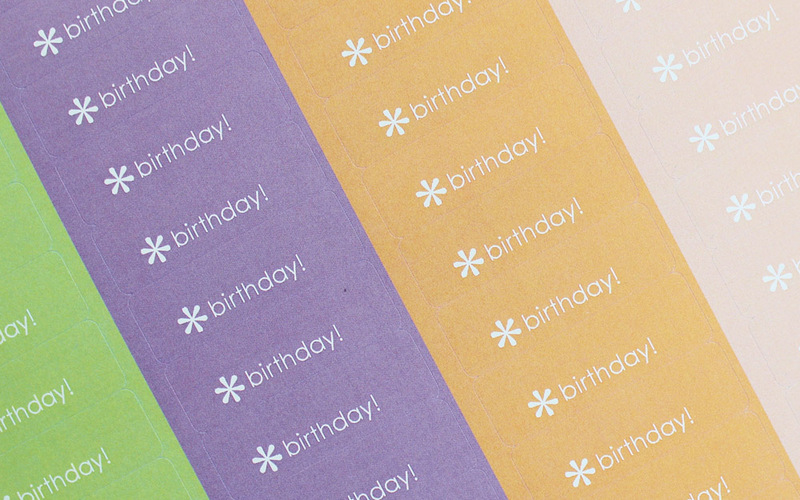 When the package arrives you notice right away that it’s from Erin Condren, it’s hard to miss! I opened the box and as you can see my purchase was nicely wrapped. 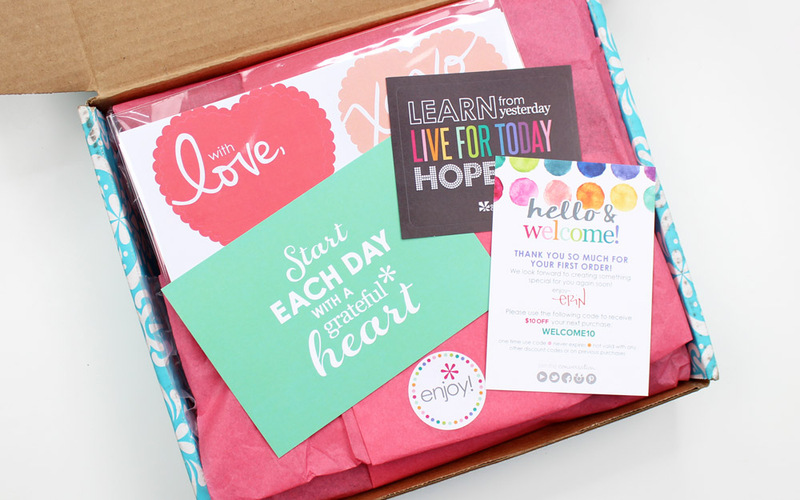 The first thing that you see is a free welcome package, a sticker and a postcard. When I placed my order I also got a new set with colored pens, I thought it would be a good idea to write things in different colors so when I scroll back it’s easier to find whatever I’m looking for. Normal and personal appointments I write in blue, everything that has to do with my medical issues like hospital appointments, medication and other items I write in green, everything for my blog and YouTube are in red and items for my fulltime job are in orange. I also use pink for birthdays! These markers are $5 so it isn’t included in the package when you order a LifePlanner, but I thought the price was great and after using my LifePlanner for a while now I’m happy that I decided to write things in different colors, it really helps finding appointments much faster! And then … there it is! 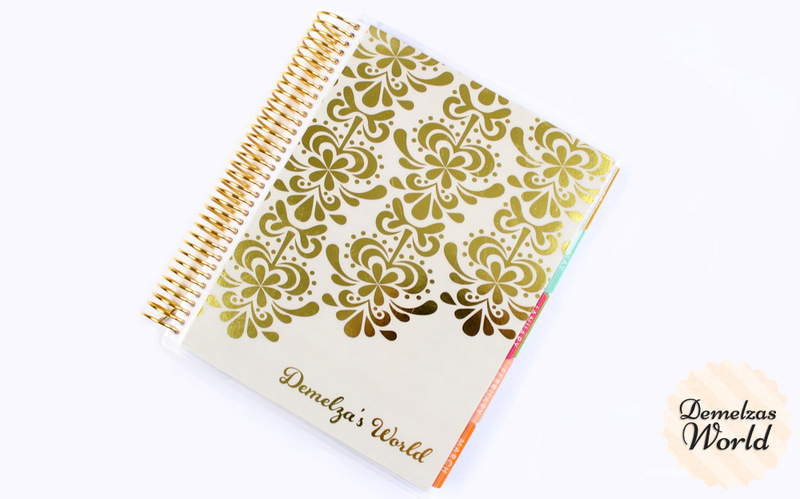 I ordered the Fleur Feliz Metallic Gold LifePlanner, it’s soooo pretty! 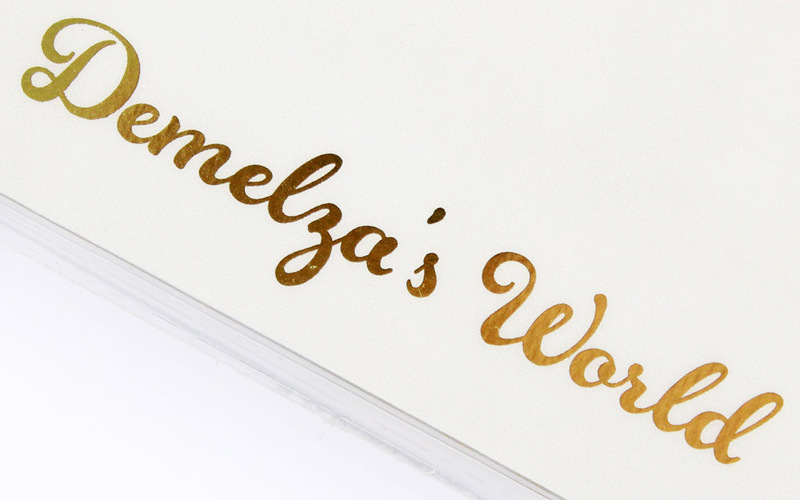 As you can see it’s personalised with Demelza’s World in gold, stunning! 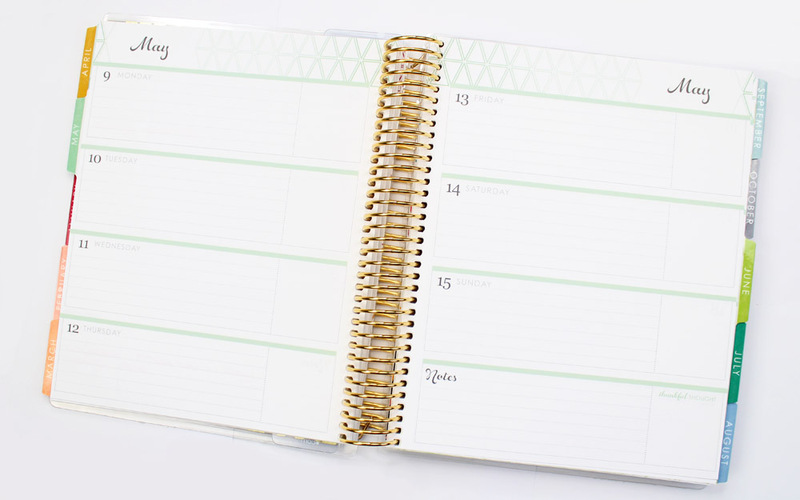 Because this planner is a little bit different it’s also a little bit more expensive, LifePlanners start at $50 and this one is $65 because of the metallic gold details. The first thing I noticed when I opened the LifePlanner is how tick the pages are. The quality is amazing! Every month has a different color. It always starts with an overview of the month, and then you get the pages with either the horizontal layout (like mine) or the vertical or hourly layout (these are options you can choose from). 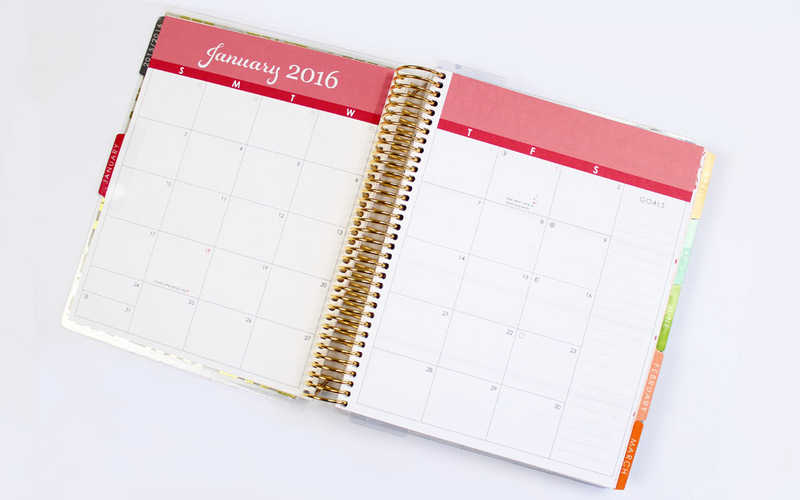 For me horizontal was the best option, because I’ve never owned a LifePlanner from Erin Condren before I can’t show you the difference but they do explain it on their website. After the month December there is more! First you have a few pages where you can write notes, then there are a couple of pages with stickers to decorate your LifePlanner and then there is also a pocket with a few stickers, complementary cards and a coil clip. So far I’m really loving my LifePlanner and I’m absolutely happy that I have it! I can imagine that for some people the price is too much for an organizer and you’re right, The price is quite high but you do get great quality. Sometimes if I really like something I don’t mind paying a bit more when it looks great and when I’m going to use the item a lot, plus I’m also keeping this planner after this year is over, it’s a great one to keep on your bookshelf, I’m not going to trow it away. If you are interested in a LifePlanner you can order one with this link, when you create your account you get $10 off your purchase! 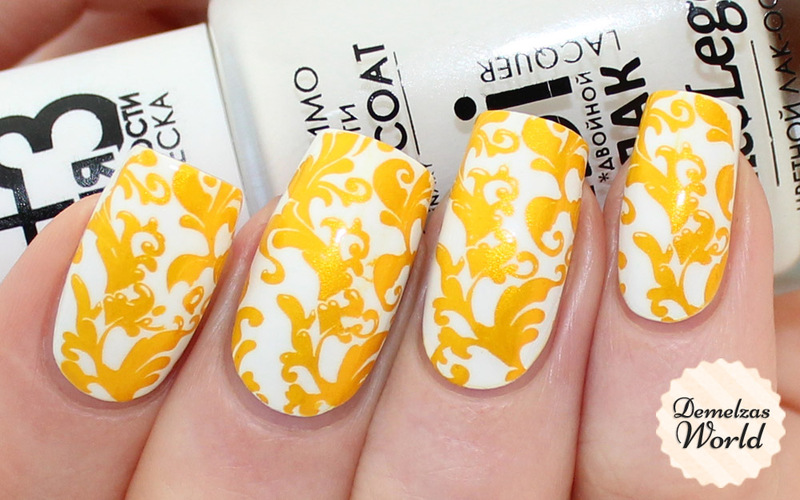 Ofcourse my LifePlanner also inspired me to do some matching nail art, if you want to know more about it check out my next blogpost! I usually use my phone for planning my life (and that of my family 😉 but this planner looks really nice. Thanks for letting me know Joyce, the link should work now 😀 If you create your account after clicking the link you will get $10 off your purchase! And I also used my phone for a short while but for me the screen is just too small and I wasn’t liking it, so back to writing things down 😀 I’m really liking it! I loooove Erin Condren’s covers gold ! Do you know if I can find it ?